Our advanced Onboard camera technology using unique miniature camera systems designed for any application where high quality action shots become an essential requirement. Featuring in multiple high profile motorsport events and high rating reality television productions in New Zealand, Australia and Asia. Bringing you amongst the best 'point of view' action vision. Specialist in motorsport Onboard services. The "AS LIVE" feature. 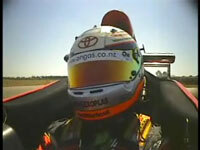 Enjoy all the functions that a "live" Onboard camera broadcast offers, e.g. remote multiple camera switching, pan control etc. but not have the cost. No link repeater helicopter required. Also elimates limited iso-record restrictions. A perfect choice for that post-production shoot. Plus also we can bring you the best in "live" miniature camera broadcast events incorporating the most innovative designs and facilities. We have the ability to offer a high quality product from small single camera productions to Large-scale events requiring very complex extensive operation in miniature camera services. 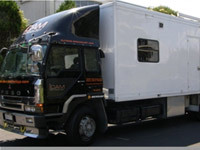 Our highly experienced, creative and innovative team of technicians offer a superior service to enhance any production.